Zwaag, The Netherlands (May 17, 2017) – Levels Audio prides itself on being the best and most luxurious post-production / mixing studio in the heart of Hollywood. 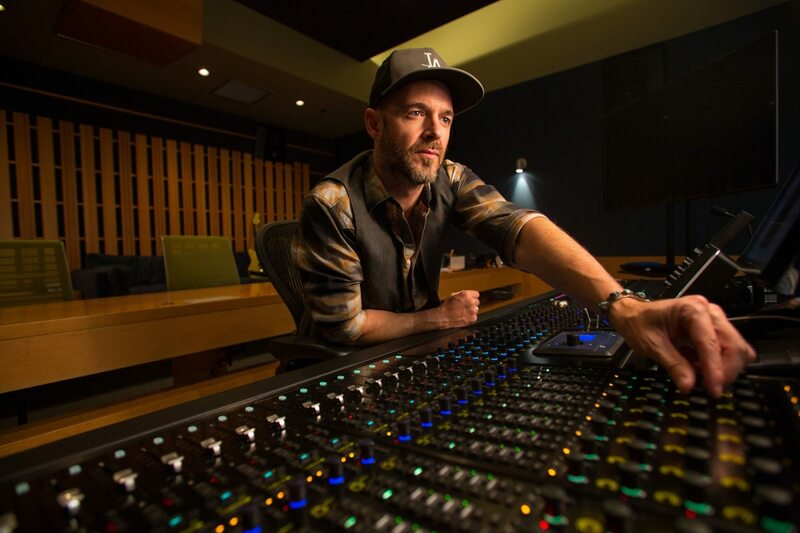 Founded and run by multiple-Emmy award winning engineer Brian Riordan, recently the 14,000ft2, state-of-the-art facility added Mix 9, a bespoke Dolby Atmos mix stage, where an Alcons Audio CRMS mkII Cinema Reference Monitor System is making a big impression on the Hollywood elite. Brian established Levels Audio in 1999, with the studio complex now including nine mix stages, an ADR/Foley stage, five audio editing suites, two visual effects suites, conference room, two kitchens/lounges and a guest apartment. “As part of our latest expansion we built two new mix stages and an additional edit bay. The idea of building a Dolby Atmos stage was a matter of future-proofing so, when designing the room, I did the design and build for it now,” says Brian. Having checked out a demo by David Rahn of Alcons Audio US – which so impressed Brian that he worked with David to organize another one specifically for Levels Audio – Alcons became the only choice for the new studio. “I did not intend to purchase and install all of the speakers for the Atmos system right away. However, after choosing the Alcons CRMS mkII Cinema Reference Monitor System for the screen channels in Mix 9, I went for it and put in the whole system,” he says. The system comprises three CRMS mkII three-way, pro-ribbon units with two CB362 high-output full-size subwoofer systems, six CRMS SR reference pro-ribbon surround loudspeakers and six CCS6 small-format surround loudspeakers. The system is powered and controlled by six Sentinel3 amplified loudspeaker controllers. Since the new room opened for business, word about it quickly got out in Hollywood. “We are getting an incredible amount of interest from the mix engineers, directors, producers and TV networks in town. It’s a bit ahead of the curve, but the demand is there and it’s only going to build,” says Brian. From one of Hollywood’s top mix engineers, a four-time Emmy winner (and 20 times nominee), that is acclaim indeed. The Alcons Audio team continuously strives for obtaining the most natural possible sound reproduction at any SPL with utmost day-to- day consistency and reliability. This is achieved through a tameless curiosity combined with a fearless drive to develop and implement unconventional technologies and techniques. Alcons’ multiple-patented high-power pro-ribbon technology is just one example. Recent Alcons ambassadors include: Walt Disney Germany, Google/YouTube London, Lucasfilm Singapore, Elbphilharmonic Hamburg Germany, Hamilton the Musical, Broadway New York NY, NBC Universal Pictures, St. Patrick’s Cathedral New York USA, National Theater Finland, Lucas Theater Savannah GA USA, but also Jazz at the Lincoln Center, Doha Qatar, State Theatre Stuttgart Germany, Red Bull’s Hangar-7 Austria, Volkswagen Gläserne Manufaktur Germany, and members of The Ribbon Network, Alcons’ global rental network.